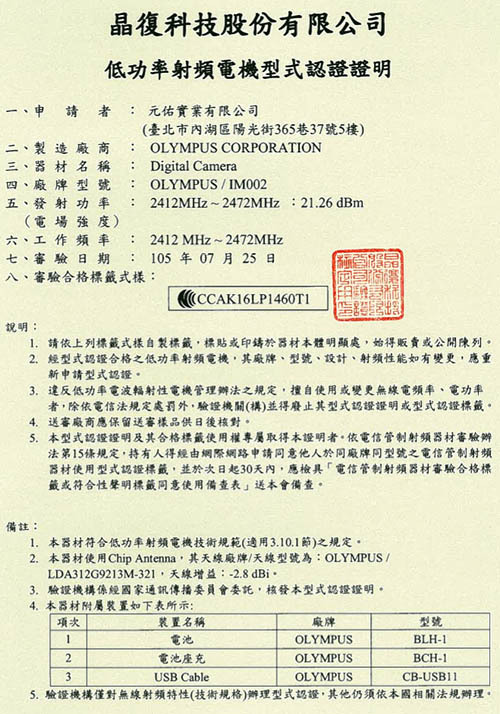 A new Olympus camera under the code name "IM002” was already registered at the Indonesian Communication Agency and recently also showed up at the Taiwan Radio Certification Authority (NCC). The IM002 camera will use a new BLH-1 battery and a corresponding BCH-1 battery charger according to the filed documents. IM001 and IM002 are most likely the code names for the already rumored Olympus E-PL8 and Olympus OM-D E-M1 Mark II cameras.